Much talk has been in the model press lately about the future of model railroading and how we should get the younger generation involved. 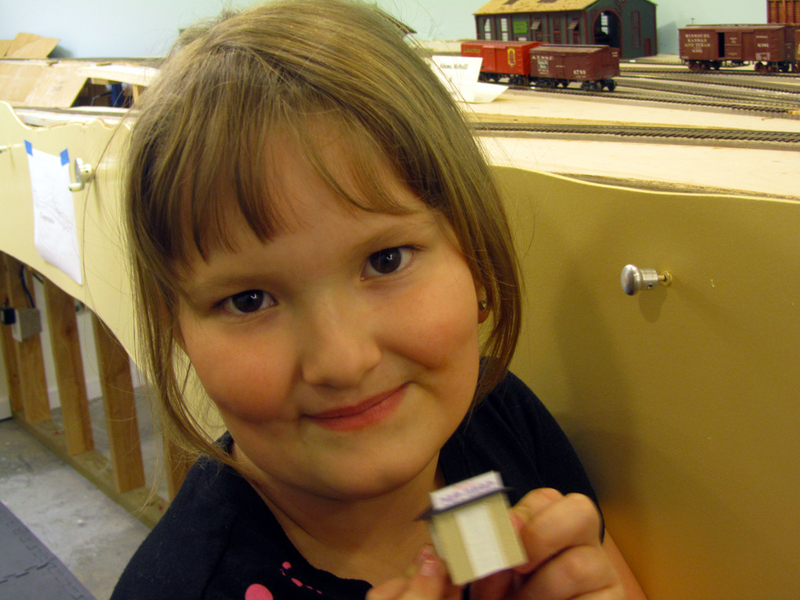 Our six-year-old granddaughter, Jessica, has been interested in the railroad since she was about two years old. Recently, she completed her first kit. 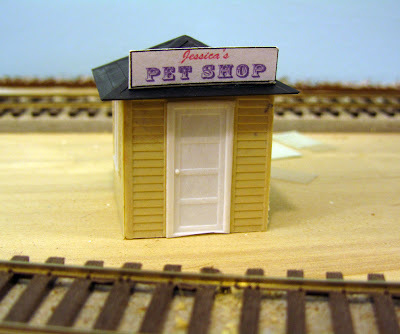 It was not too difficult and she had some help but she is very proud of "Jessica's Pet Shop." I'm not quite sure where it will end up on the S&C but it should be somewhere. Will this lead her into the hobby of railroading? Who knows? All you can do, though, is expose them to the hobby and see what happens. It will be interesting to see what her interest is when she is tall enough to actually see the trains. By the way, she's run the trains before and is very careful. Her only fault would be going a bit too slow which is hard to do on a railroad with 15 mph speed limit! 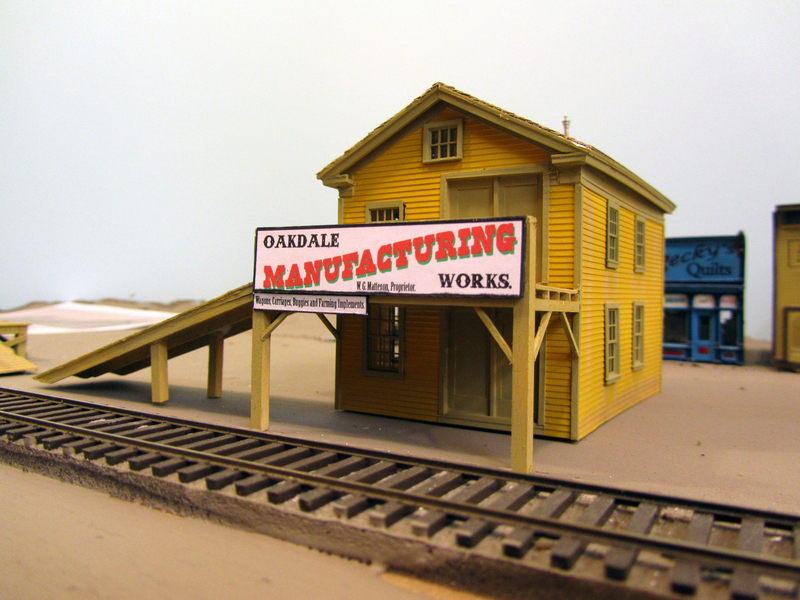 Another Oakdale industry has been completed, the Oakdale Manufacturing Works. 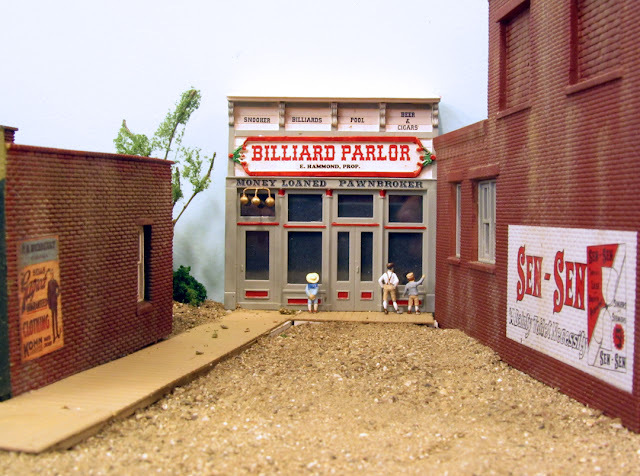 This was a prototype business located in that city during the late 1800s. 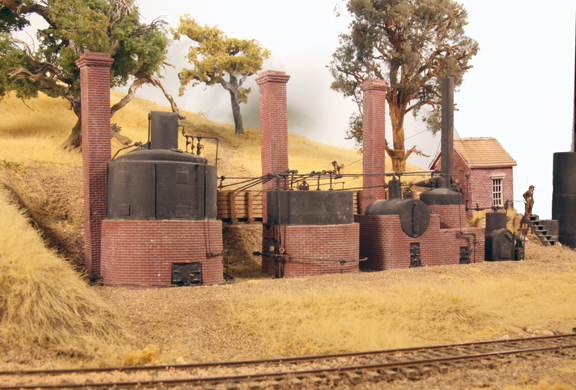 They built wagons, carriages, buggies and farm implements according to their ad in the Stockton & Copperopolis Railroad Guide published in 1885. This was a throw-away guide telling a bit about the communities through which the railroad passed and, more importantly, carrying ads for local businesses. I have not not found any photographs of the prototype so I took inspiration for my structure from Greenfield Village in Dearborn, Michigan. 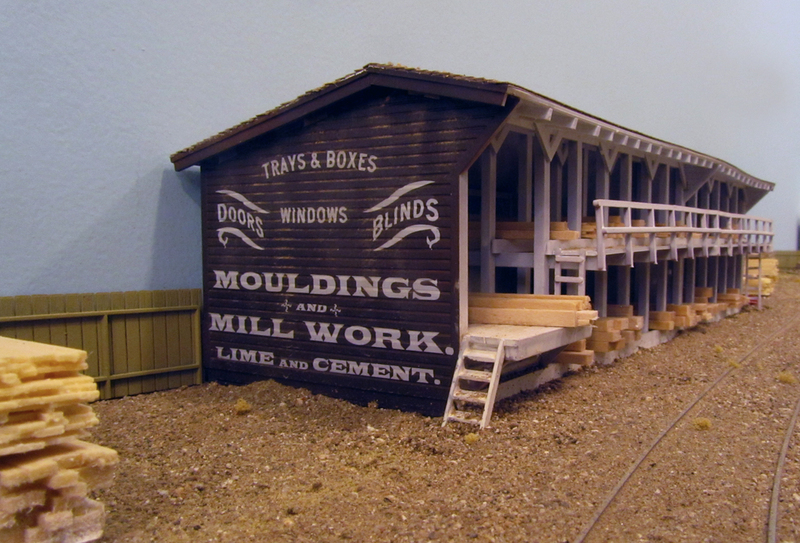 The Richart Wagon shop is a small building preserved there which seemed ideal for the railroad. In the 1800s, horse-drawn vehicles were easy to build and did not require much in the way of specialized equipment so many small towns had their own shops. The Oakdale Works and Richart were both of this pattern. 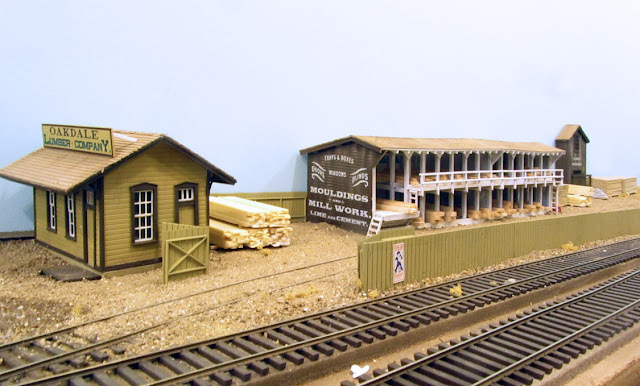 The long sloping ramp is typical of many wagon shops. 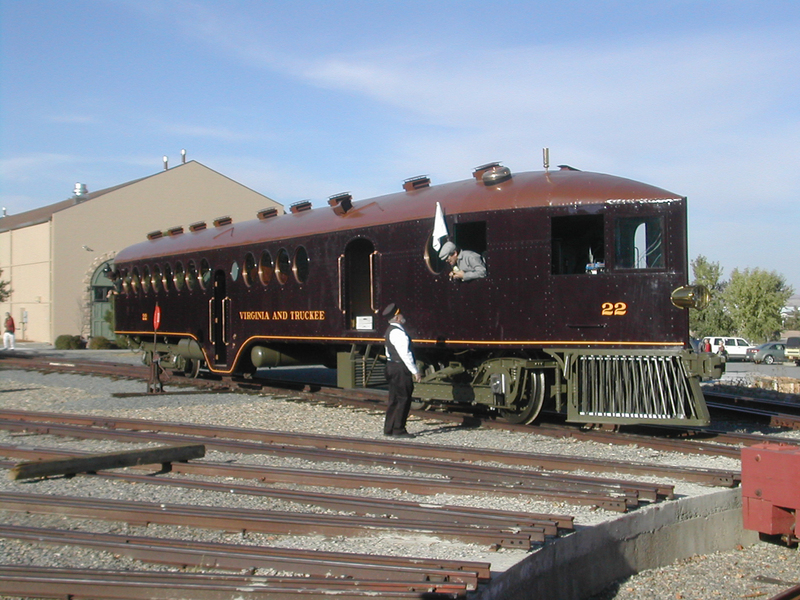 It was used to maneuver the finished carriages down to street level. 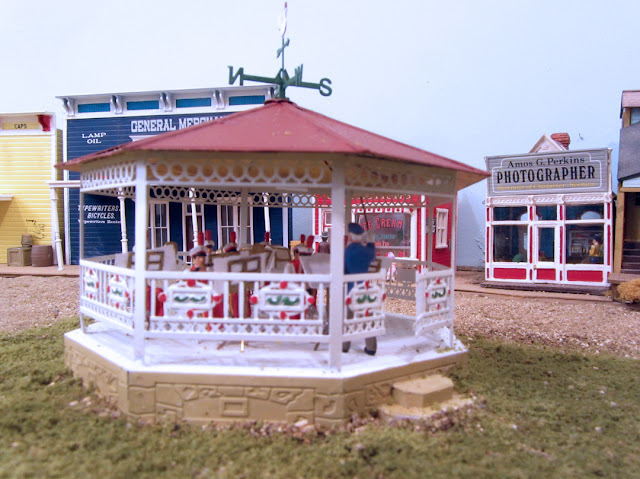 Unlike one might expect, individual parts were made on the first floor and the final assembly and finishing done on the second. This puzzled me for a bit until someone explained that, if the woodworking was on the second floor, sawdust would always be floating down on the freshly-painted carriages drying on the first floor. My model was built of styrene following the Richart dimensions. 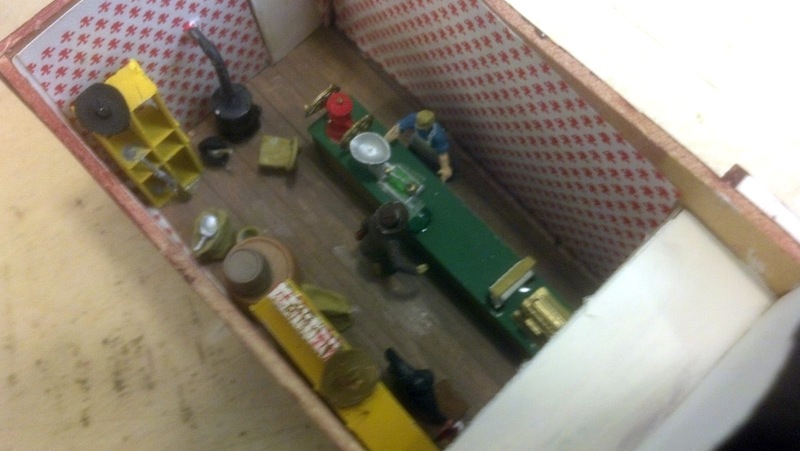 Shingles were from Minuteman Scale Models. 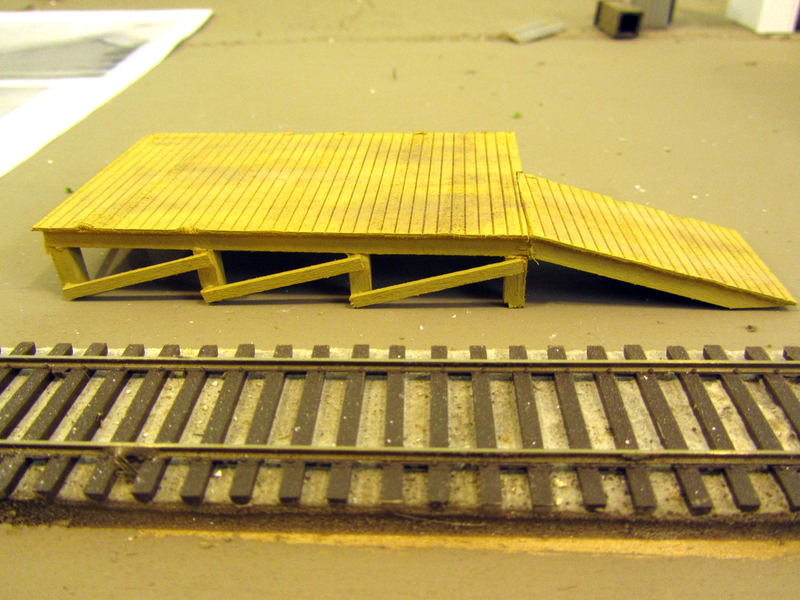 Since this was to be a source of revenue for the S&C, I built a small loading ramp which will be located next to the tracks. 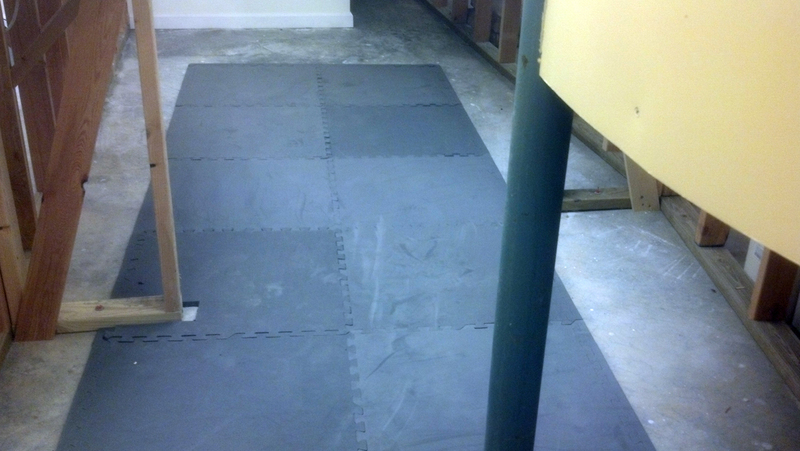 Right now, I am not quite sure where the Works will end up. It was originally planned to be at the south end of Oakdale adjacent to the gas works but there may not be enough room there. I'll have to finish the gas plant and see if both can be squeezed into that space or if things will need to be rearranged. 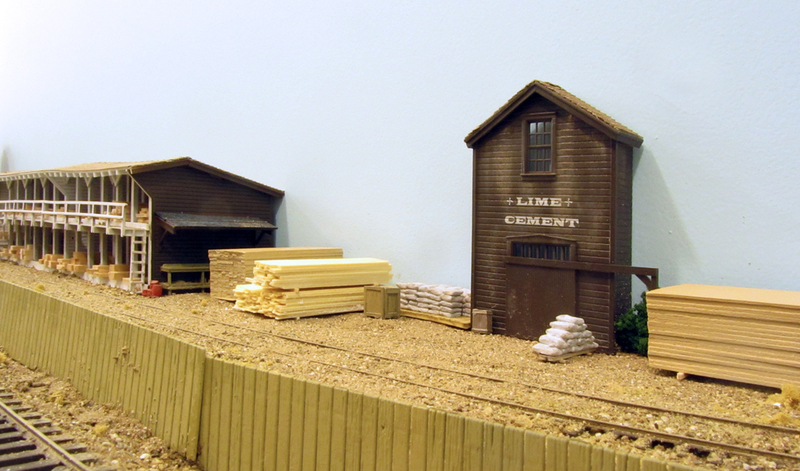 I also have to build up some wagons and carriages. 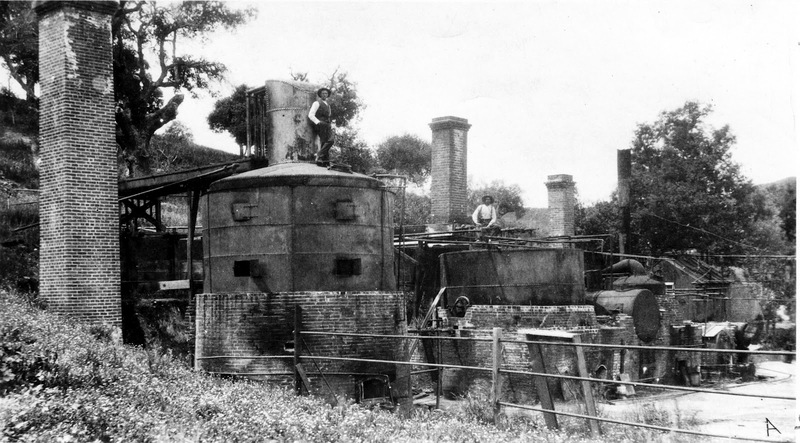 After all, a factory needs some evidence of the product produced. East Railroad Avenue runs behind the Stanislaus Warehouse. E Street is the road at the left of the photo. 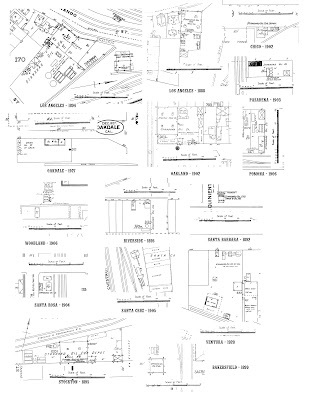 My goal to "finish" Oakdale is proceeding and I'm discovering just how many buildings it takes for a large city. Oakdale is not a large city as those things go but it takes up about 20 feet on the S&C which means lots of structures. 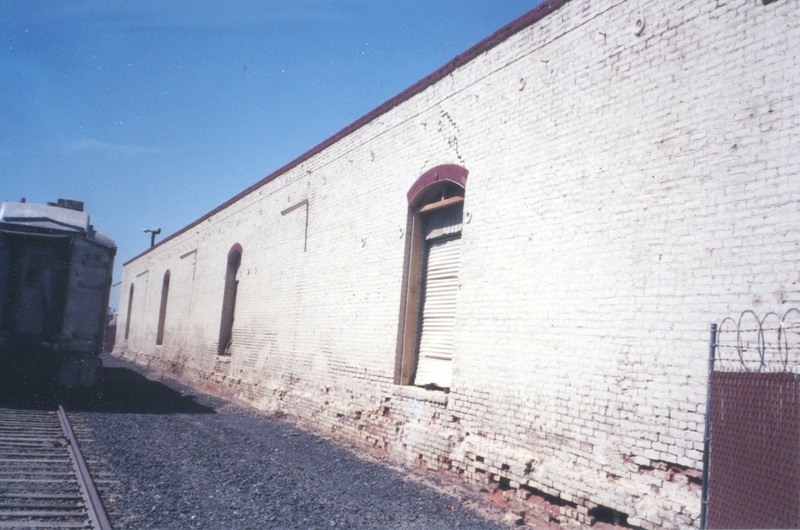 The latest addition has been some buildings on East Railroad Street behind the Stanislaus Warehouse. 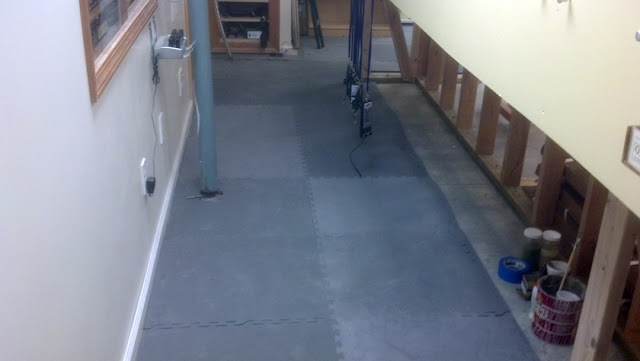 Some of these were completed a while back but they are now in their final position. The H.H.H. 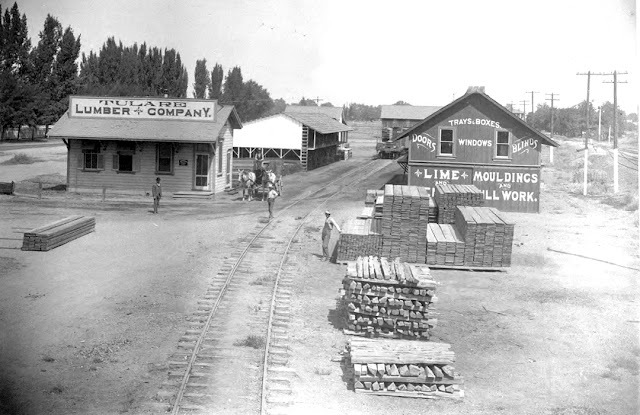 Horse Medicine advertised on the barn was actually manufactured in Stockton for many years and used throughout the country. The Yo-Semite (yes, that was one spelling for Yosemite used in the 1890s) Livery was scratchbuilt based on a real structure that stood on the corner of "F" and East Railroad Streets in the 1800s. 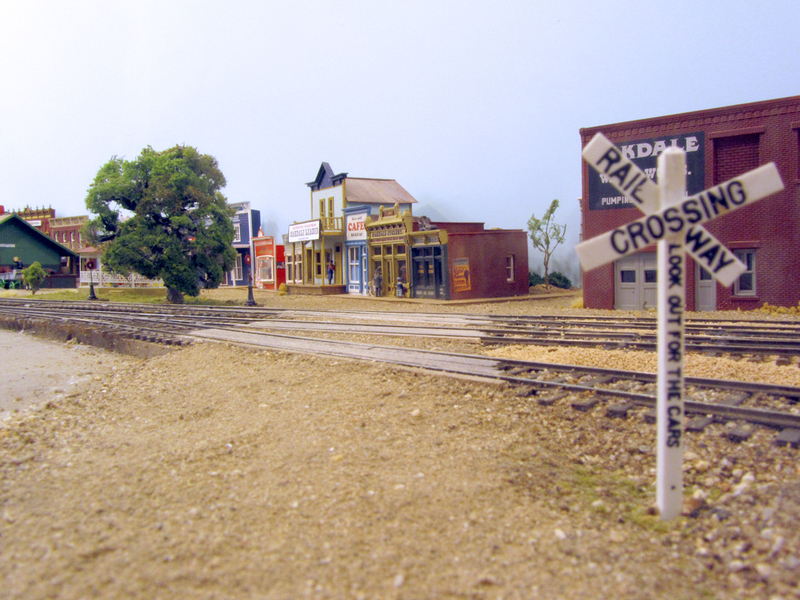 At the other end of the block is "E" Street and a simple house was assembled from a Grandt Line kit for. 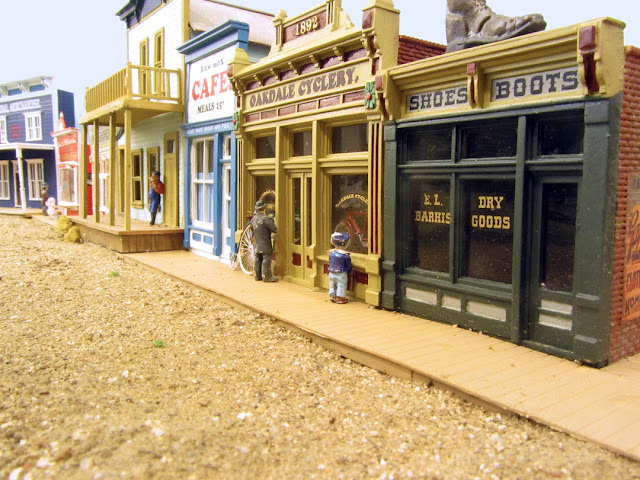 In my era, houses and businesses were somewhat interspersed in a single block so the model will reflect that. 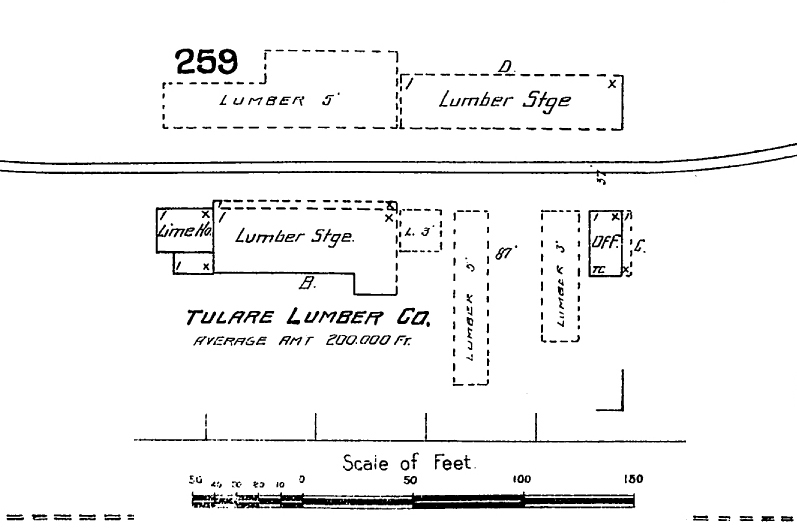 The Achegas building is located in the middle of the block. No one is still quite sure what Achegas is but the business seems to be moderately successful. 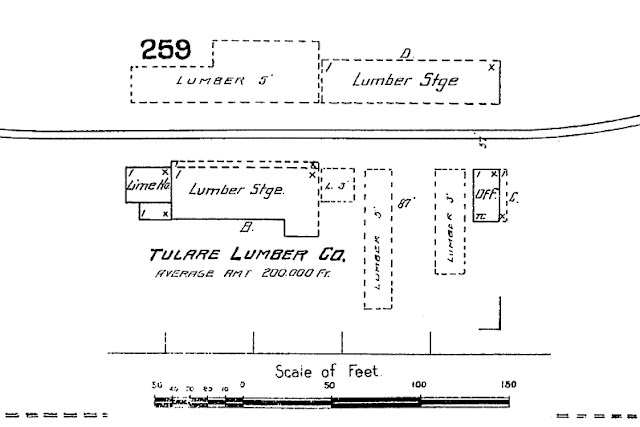 As mentioned in a previous posting, the Stearns & Harray Blacksmith & Carriage Shop is patterned after a prototype 1890s structure. The sign is an accurate reproduction of the prototype's sign right down to the giant horseshoe on the top. 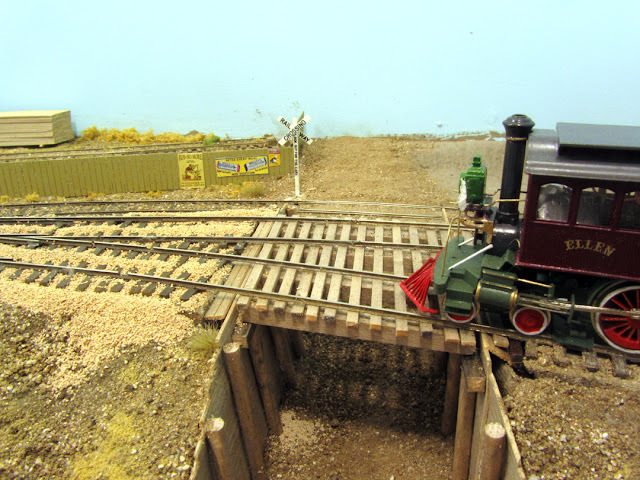 The apparatus on the sign post is a hoist for raising wagons and buggies when it becomes necessary to roll the wheels out. The giant tooth and "Painless" Dentist sign clearly indicates a dentist on the second floor. Barely visible behind a porch post stands a cigar store Indian offering his wares. The grocery and drug stores were older structures salvaged from my previous layout and rehabilitated. They fit right in across "E" Street from the warehouse. More structures are in the paint shop to continue populating the town. 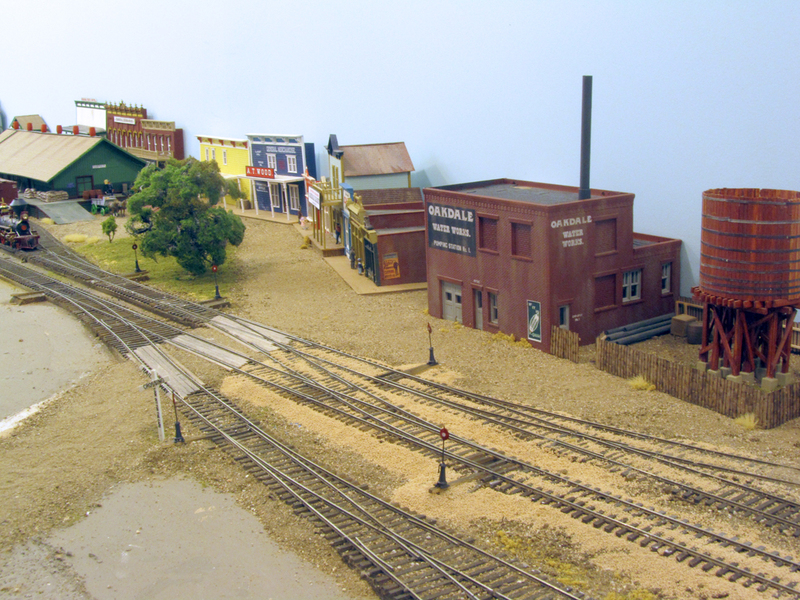 In my current project to populate Oakdale with most of the structures it needs to look complete, I have been building. 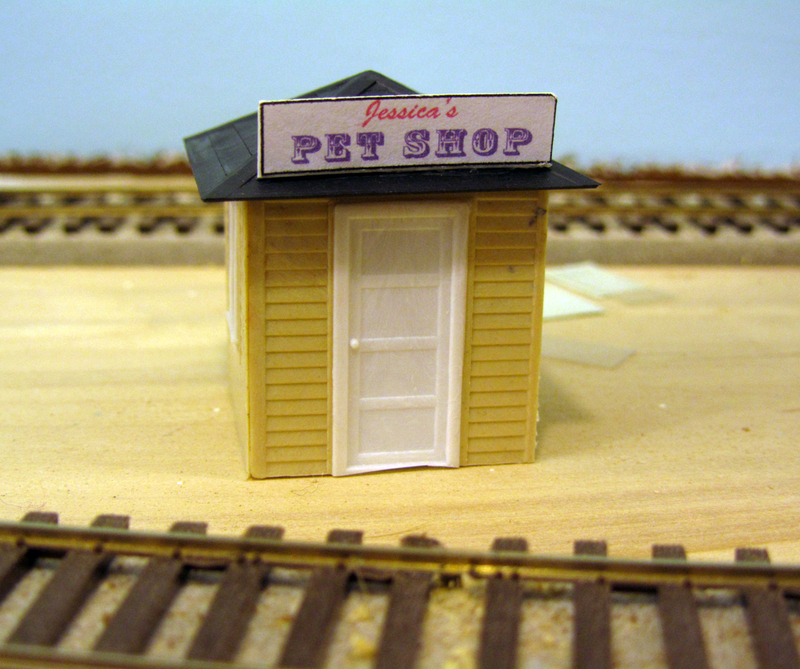 Over the last week or so, I've managed to put together a small dwelling, a store and a factory making an undetermined product. 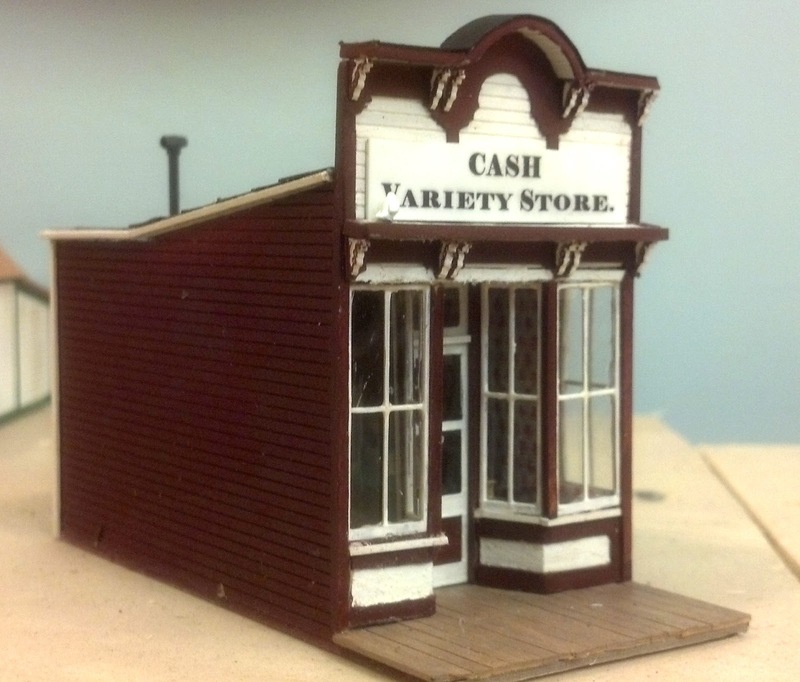 The Cash Variety Store was built from the Classic Miniatures "Silver Plume Store" kit. Note the pigeon roosting on the ledge below the store sign. The Tuolumne Cheap store was based on a real Oakdale business but was made from a Classic Miniatures kit. 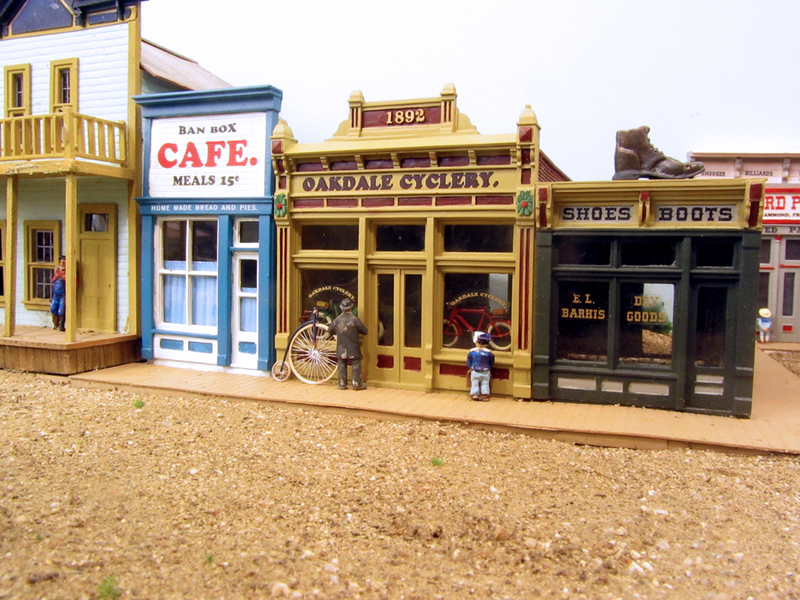 With the big front windows, I decided it was necessary to detail the interior so I made a store which was typical of nineteenth century small-town businesses. With its name, it's obvious that they will not extend credit to customers but do offer cheaper prices for cash. The Stanislaus Flour sign on the side is copied from a real sign on the side of a building in Coulterville, California. 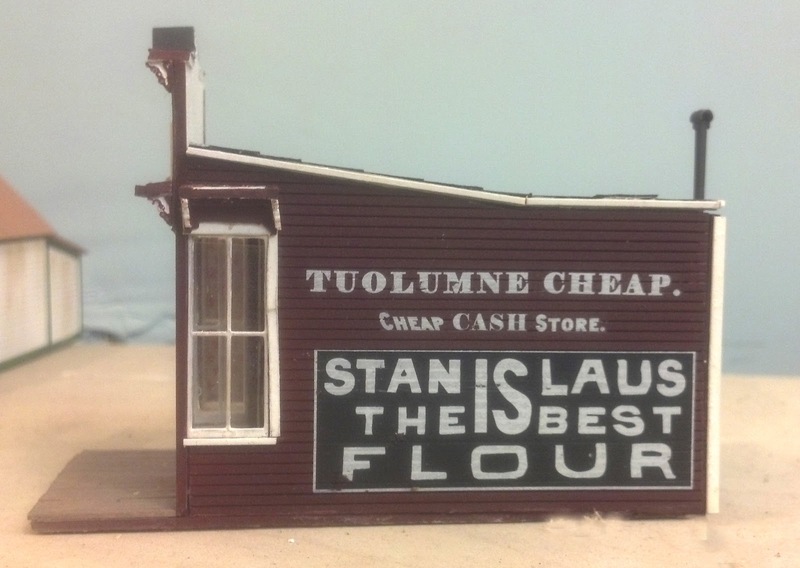 Stanislaus Flour was made in Oakdale and served by a spur from the S&C. The Achegas plant is a bit of local humor which predates my moving to the Kansas City area. It is a play on one of the fellow's names. 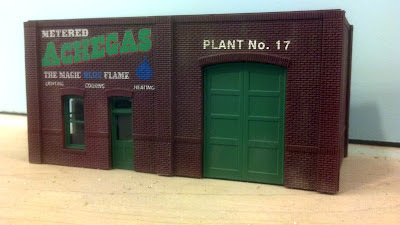 The plant name became so popular that decals were made and most layouts in the area have an Achegas franchise. The decals, unfortunately, were really of too modern a style to suit 1895 so I backdated the lettering style a bit and came up with that on the model. 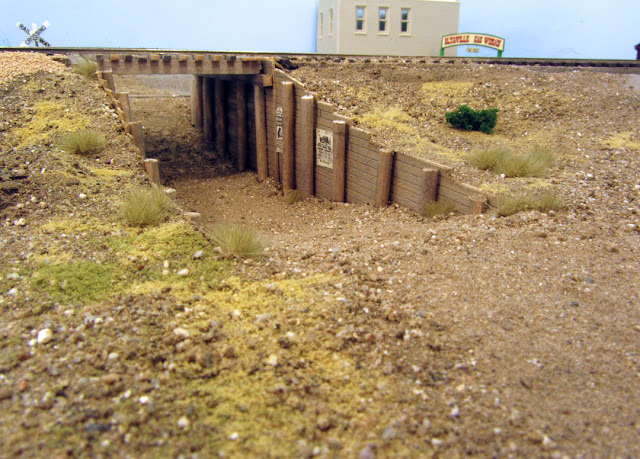 Now I just have to find a suitable spot for the building. In January 2011, Model Railroad Planning published an article about the Stockton and Copperopolis which included this nicely-drawn track plan. 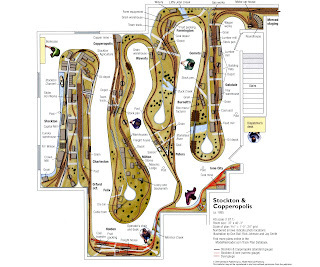 It is much better than the one I used to have on my old website and MR graciously gave permission to use it. I will keep it available for those who are interested by placing it on the tab bar above. My new book on the Billerica and Bedford Railroad has finally been received from the printer and is starting to be distributed. 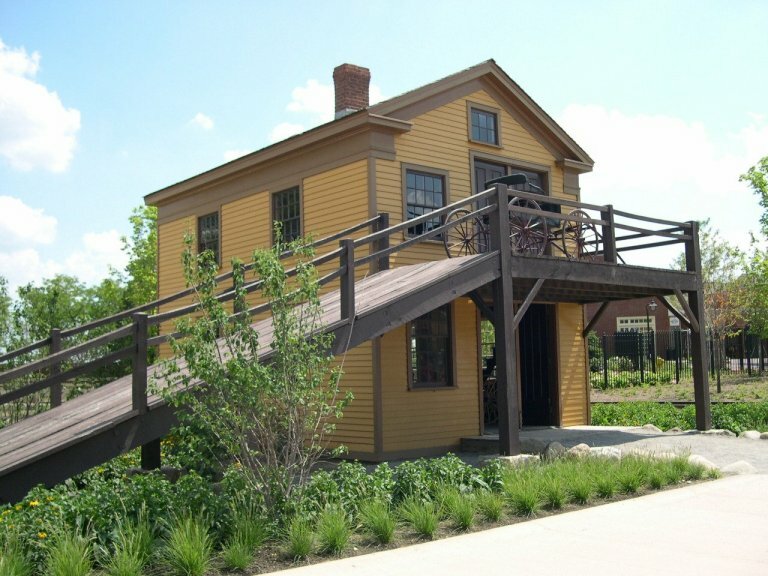 What is the B&B and what does it have to do with the Stockton and Copperopolis? The answer is "nothing." 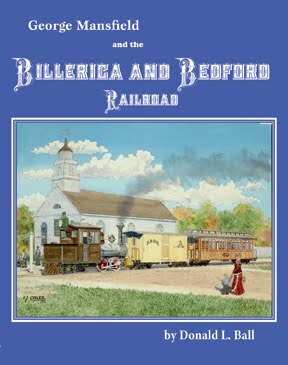 The book, however, is the culmination of a two-year project of mine to document the building of the first two-foot gauge railroad in the U.S. 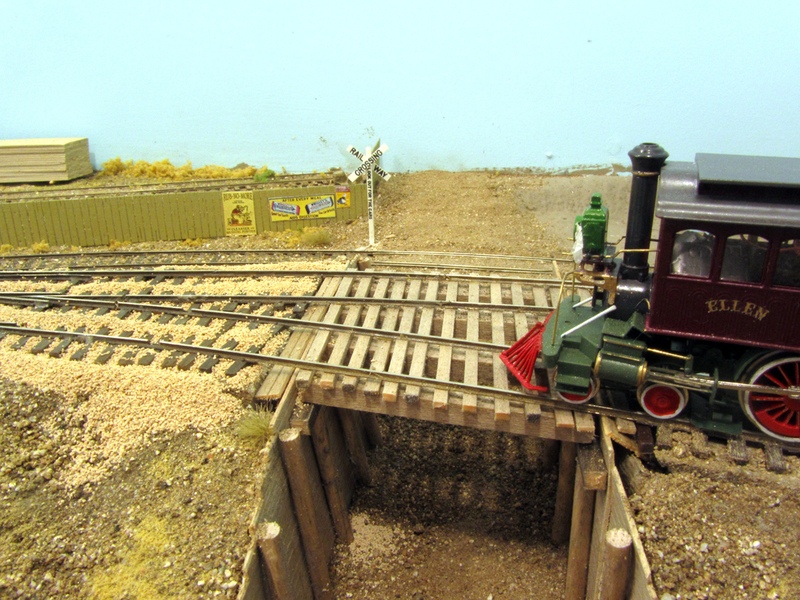 Many have heard of the Sandy River or Wiscasset Railroads in Maine, both two-foot gauge. All of these sprung from the B and B. 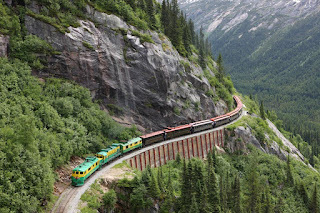 If this kind of narrow gauge railroading is of interest, see my book's website at www.bb-rr.com. It is available direct through the website, at Karen's Books and Ron's Books.